Since 2004 we've represented OSG in Northern California and Northern Nevada. They are a leading manufacturer of Taps, Dies, Drills and End Mills headquartered in Glendale Heights, IL. OSG Tap & Die's advancements in cutting tool design and production have produced very high quality tools that are setting new standards for productivity and performance in the cutting of alloys, stainless steels, and exotic space-age materials. As part of their commitment to quality, OSG machines over three miles of material and removes over two tons of material per month in the testing of end mills alone. The commitment to quality includes a bank of CNC machining centers maintained for the single purpose of testing end mills. Through these facilities and their corporate commitment to excellence, they are able to continuously refine their cutting tool technology, improve product quality, and reduce cost to our customers, while at the same time preserving the environment. OSG threading products include Spiral Flute Taps, Spiral Point Taps, Forming Taps, Pipe Taps and Thread Mills in Imperial (Inch), Metric and Pipe Thread ranges. 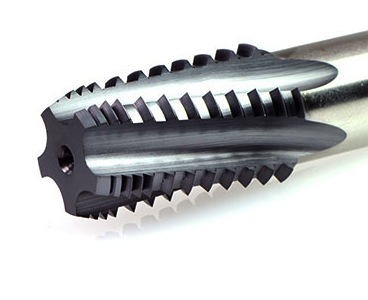 OSG drills meet or exceed the requirements of today's most stringent applications. OSG has revolutionized the machining world with our High-Technology End Mills. OSG's Highly accurate, high grip Shrink Fit Holders for high-speed and precision applications. OSG makes Adjustable Split Round Dies in Fractional, Metric, Taper Pipe, and Machine Tools Sizes. A wide variety of carbide de-burring tools. 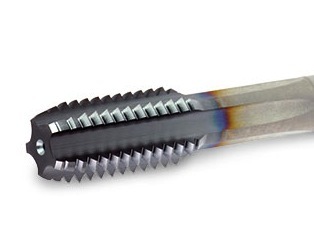 OSG is the world's largest manufacturer of Taps and threading tools. OSG has a tap for any application. 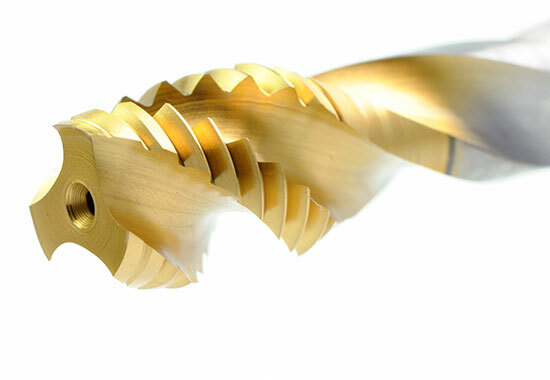 OSG provides straight fluted taps, spiral pointed taps, spiral fluted taps, forming taps, and thread mills. As a world's top tap manufacturer, we provide high quality and efficient taps. Based on our technology and know-how, they always work together with the customers to solve their tapping problems. Straight flute taps, also called Hand taps, are designed for short chipping materials, such as cast iron. While their rigid design certainly makes them suitable for hand tapping operations, the straight flute configuration is also ideal for CNC tapping. 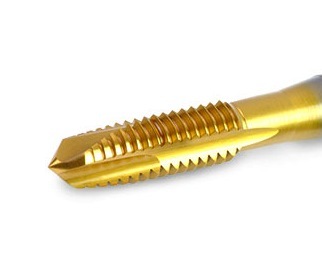 Spiral point taps, also called Gun taps, utilize an additional gash on the front of the tap which redirects chips forward towards the bottom or exit of the hole. Their design makes them ideally suited for through hole applications. Pipe taps are used to produce internal threads to meet a variety of standards, including NPT, NPTF, NPS, NPSF and ANPT classifications. Features like helical flutes and interruptions on the tap itself help reduce tapping torque and extend tool life. OSG manufacturers Thread Mills for Inch (imperial), Metric, and Pipe threads. Thread mills are utilized to produce internal and external threads utilizing helical milling to produce the desired thread profile. Thread mills are typically carbide, and smaller in diameter than their corresponding tap would be, thus enabling them to fit within the ID of the pre-drilled hole. 3-axis CNC machines are required to use thread mills. OSG Tap & Die's Products! Training Seminar: Everything your team needs to know about Tapping screw thread terminology, thread forms, fundamentals of threads, classes of fit, Tap basics, types of chamfers, the tapping process, screw thread inserts, helix angles, core diameters, re an hook angles, thread reliefs, pitch tolerances, H limits, Tap substrates, Surface treatment and coatings, tapping speeds, tap drill sizes. "Constructed of vanadium high speed steel, the tap features a variable lead-flute design with chip control for stable chip evacuation. This new series provide increased consistency, improved reliability and extended tool life with water-soluble coolants. The taps are available in sizes ranging from No. 2 to 1" and M2 to M4." "There are a variety of Shrink Fit Toolholding Systems on the market, all of which use thermal contraction to grip cutting tools. However, while most Shrink Fit holders are one-piece type, OSG has improved upon this design with our “hybrid” Shrink Fit System. 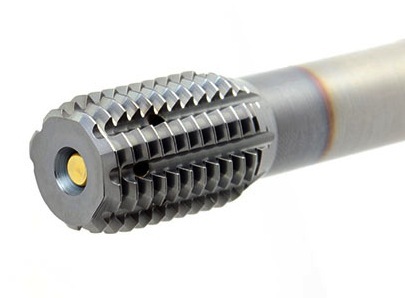 The word “hybrid” is defined as “something of mixed origin or composition” and this is what OSG has accomplished with our shrink fit system, as our holders have the accuracy and rigidity of Shrink Fit Holders, but the versatility of Collet Chucks." 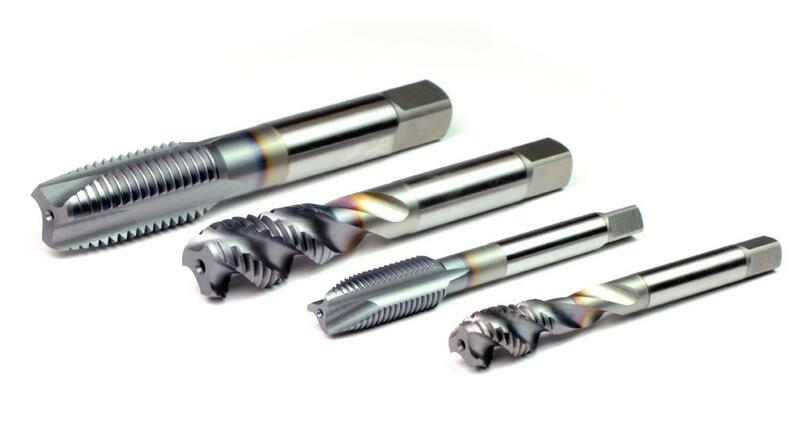 "The new design boasts new point and flute geometry that reduce thrust forces and chip size, thereby enabling higher feeds and metal removal rates"
"Understanding tool geometry and selecting the right tap for different workpiece materials can help take the anxiety out of tapping operations.Many machinists have learned to dread tapping. The story goes something like this…"
"Thread is processed by advancing one pitch feed per revolution in the axial direction, utilizing the planet-like rotation and revolution movements of the tool. 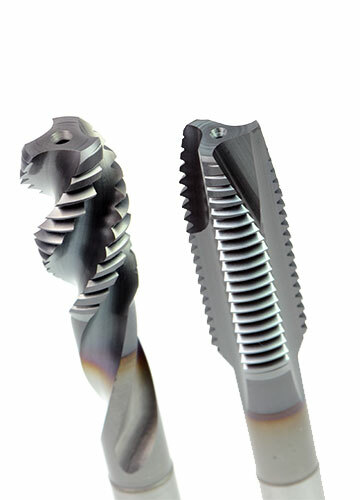 Internal and external thread, right or left hand threads can all be produced with this one tool, simply by changing the direction of rotation and/or feed"
The spiral flute series has adopted a variable helix flute design, which encourages stable chip evacuation and reduces cutting forces. The spiral point series has unique geometry that enables greater chip control that can help produce tightly compacted chips for easy ejection from the hole. Follow Next Generation Tooling's board OSG Tap & Die on Pinterest.